In a scale of 1-10, where would bạn rate The Princess and the Frog? 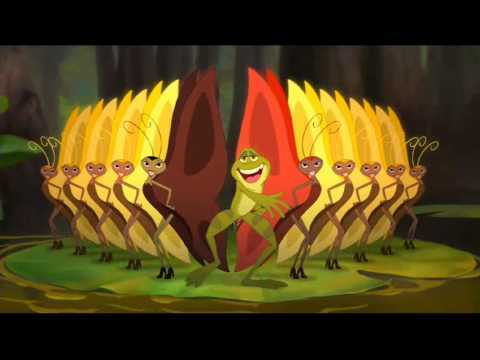 What is your yêu thích song form Princess and the frog? Which dress do bạn like best? Would bạn Kiss a frog if bạn could marry a prince and become a princess? Who do bạn think outbid Tiana for her restaurant? Does the prince frog fart hoặc burp? If Disney made a sequel of TPATF what do bạn think the plot would be? Does anybody know where I can find Princess and the Frog screencaps? this guy is a jerk but honestly i cant blame him entirely, he spent his life being put down and used bởi others so i kinda understand his anger and I'm sorry he made bad decisions but yeah, he wasnt a good friend to naveen of course. I recently purchased the DVD for this movie and let me tell bạn that it was a pleasure to see a hand drawn animated film for a change instead of all this stupid 3D phim hoạt hình that Disney does now instead of what they are really good at. Here is my highs and lows of PATF. The relationship were cute and funny especially Tiana & Naveen’s relationship. The âm nhạc is jazzy although I don’t like jazz âm nhạc whatsoever . Here is an bài viết on my favourite characters from PATF. Tiana: The first African American Princess from Disney Tiana is a hardworking waitress in 1920’s New Orleans. She dreams of opening up her own restaurant out of her tips that she gets from her current place as a waitress. She is a vượt qua, cross between Lọ lem and Belle (well I think anyway) because she’s hardworking like the two princesses I mentioned below. Set in 1930s New Orleans ,PATF is an enjoyable musical comedy that makes bạn wanna wish upon a star. 1. The prince sounds like Antonio Banderas yet he reminds me of Jean Bob from The thiên nga Princess meets Dimtri in human form from Anastasia. 2. The small little man who poses as the prince later in the film is so like Nathanial from Chuyện thần tiên ở New York aka Timothy Spall. 3. The story i'd say could be another deja vu like Chuyện thần tiên ở New York which is my fav film. a comment was made to the poll: Cutest Couple! a comment was made to the poll: Would bạn say Tiana is a good role model? What are the names of Tianas parents? Have bạn hoặc would like to meet Tiana & Naveen at Disney Parks?